Natalie Teer is an advertising assistant at the Steamboat Pilot & Today. She began working at the paper in December 2016 in the design and production department before moving into her current role. Natalie graduated from the University of Florida with a bachelor’s degree in journalism and communications and has six years of experience working in newspaper design and layout. 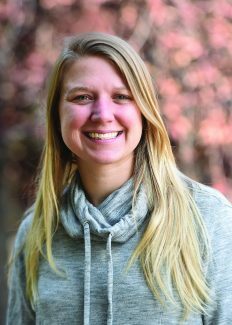 Natalie has grown to love all of the outdoor actives the mountains offer — camping, biking, hiking and skiing.